Bonus Quiz section. Included is a bidding quiz showing various common but perplexing bidding problems that players have been asking me about for year. 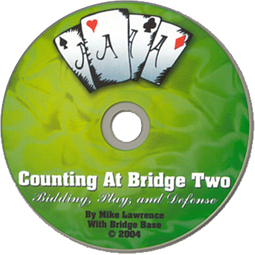 Counting at Bridge is available for the same price as the original, $34.95 plus postage.